Home » The Unrepentant IMF! 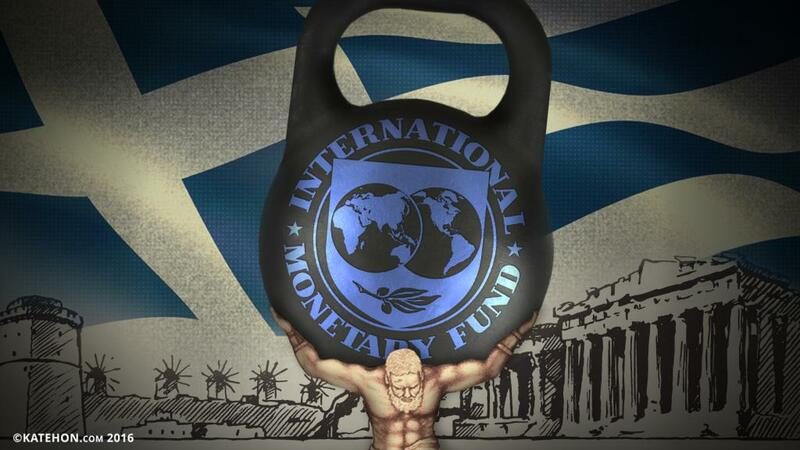 Despite the persistent effort of the Greek Media to present the report issued by the Independent Evaluation Office on July 8th, which examines the contribution of the IMF on the “rescue” plan of three countries (Greece, Ireland, and Portugal) as a “public apology”, the facts belie them. Prima facie, the report sheds light on the weaknesses that characterized the IMF's involvement in the eurozone. For instance, it highlights the widely-held “Europe is different” mindset that encouraged the view that large imbalances in national current accounts were little cause for concern, and that sudden stops could not happen within the euro area”. Reality and particularly the ECB cruelty (when for example only a few days after the victory of Syriza in the elections of January 25, 2015, halted the ELA to the Greek banks) proved to be unpredictable even for the IMF criteria. The report also refers to the two major decisions which determined the participation of the IMF in the program, which both violate the statutes of the organization: Participation without guaranteed sustainability of the Greek debt, and the introduction of a systemic exclusion clause which was subsequently used to finance Ireland and Portugal. Moreover, on page 20, paragraph 42, there is a revealing detail about the undemocratic way which IMF works. "The way in which the second criterion was modified lacked transparency (de Las Casas, 2016). The proposal to change the exceptional access framework was embedded in the staff report for the Greek SBA request, and Executive Directors received no advance notice that such a change was forthcoming. While several Board members had noticed the two sentences tucked into the text on Greece’s overall adherence to the exceptional access criteria, few recognized the implications of the language until one of them raised the issue during the meeting. Otherwise, the decision would have been approved without the Board’s full knowledge ". This incident refutes the allegation of equal participation of Member States' representatives in the IMF. Instead it reveals that the reins of the organization holds a small team that discusses and decides in secret, using the official bodies of the IMF only to validate the decisions that legitimize its action. Sometimes even in retrospect, as happened in this case. The role of the European Central Bank which is described as "highly controversial" (page 44, paragraph 107), deserves a special mention. The Independent Evaluation Office highlights the conflict of interest implicit in the decision of the ECB to sit on the same side of the table with the IMF, as it was one of the creditors of Greece. The report, indirectly but clearly, criticizes the ECB's decision to exclude the Greek bonds that it held by the Frankfurt haircut imposed through the restructuring of Greek bonds on 2012, which is known as PSI. And this is just the tip of the thread: Other interesting points of the report includes the revelation of the authors about nonexistent documents. This is written verbatim (paragraph 10, page 5): "The IEO did not have full access to confidential IMF documents in a timely manner.IMF staff cooperated in providing a large volume of internal documents to the IEO, but it was learned that many documents were prepared outside the regular, established channels (and sometimes retained in personal files); written documentation on some sensitive matters, even with the help of generous staff resources, could not be located". IMF, the kingdom of secret diplomacy and dirty secrets. Despite of all the aforementioned, the report of the Independent Evaluation Office ultimately legitimizes and does not deconstructs the underlying rationale of its functioning that was reflected in the Memoranda. IEO’s rationale is far behind even from criticisms that for instance were put forward by Professor Olivier Blanchard, in July 2015, the then Economic Counselor of the Fund, who has had highlighted three aspects: First, that the “Greek programs' only served to raise debt and demanded excessive fiscal adjustment”.Second, that “the financing was used to repay foreign banks” and last but not least, that “growth-killing structural reforms, together with fiscal austerity have led to an economic crisis". Today, the complaints of Prof. Blanchard, sounds much more reasonable than ever. Nothing proved him right better that the cumulative decline in investment from 2007 to 2015 by 40 billion euro or 66%, which predicts the further extension of the current recession. The interpretative factors of this decline are the raising taxes, the increasing capital costs and reduced funding. Three reasons that are the immediate result of the Memoranda’s policies. Another proof of his theory is the reduction of exports (excluding fuel) by 6.4% in May 2016 compared to the previous’ year which depicts the weakness of the international markets to act as counterbalance to declining domestic demand. Last proof but not least, is the plunge of the public revenues in July, creating a gap in relation to the provisions of half a billion euro, just a few days after the new reduction of pensions. The Evaluation Office report has nothing to say about the social effects of the measures proposed by the IMF, like the increase of the unemployment to 25% (which is a European record) or the immigration of 500.000 youth well-educated scientists by majority, or the explosion of poverty. IOE criticizes the delay in the implementation of its policies. Thus, in the last chapter, the first recommendation is: "The Executive Board and management should develop procedures to minimize the room for political intervention in the IMF’stechnical analysis." On the same wavelength, it moves the second recommendation too, declaring the further autonomy of the Fund: "The Executive Board and management should strengthen existing processes to ensure that agreed policies are followed and they are not changed without careful deliberation." Within the report there are numerous references to "little progress" made in privatization (before the recent sell-off of ports and airports from the government of Syriza which has been transformed to the exemplary pupil of IMF) and reforming the labor market (paragraph 70), due to the "strong domestic opposition and social and political instability" (paragraph 83). In fact, the resistance to the neoliberal agenda of the IMF and EU came from parts of society which were invited to pay the price of a policy that had no legitimacy and transferred the cost of fiscal adjustment onto the weakest. This policy also turned out to be extremely inefficient, at least on the basis of what it promised, eg solving financial crisis. For instance, the Greek sovereign debt on 2015 increased since 2012 in absolute numbers (from 305 bn. euros to 311 bn.) and as a percentage too (from 160% of GDP to 177%)! It’s an epic failure in terms of nominal aims but it’s a triumph while it achieved the demolition of the post-war welfare state. As a conclusion, the principle aim of the Independent Evaluation Office report was to consecrate the IMF austerity policy and not to reveal its organic weaknesses and inconsistencies or the huge social cost.